An intensive multimodal Facial Injectable Training (FIT) and Non-Surgical Facial Rejuvenation Techniques for Beginners is a full-day course designed to introduce the Scope of Practice and deliver some familiarity to allow a practitioner to start their aesthetic practice. It includes a Didactic presentation on the Syllabus and demonstration of techniques and is designed for larger groups to start them on their injectables and aesthetic career..
A wide variety of medical health professionals are expanding their scope of practice to include cosmetic injectables, both fillers and neurotoxins, and laser and light therapies. It is incumbent on each practitioner to equip themselves with the appropriate knowledge and understanding of the products they intend to utilise in their practices, as well as any licensing requirements for each state. Similarly, it is a requirement to gain an appreciation of the anatomy of the structures and regions they plan to treat. A further element in this Scope of Practice is an understanding of the concepts of beauty and how these may vary in different ethnic backgrounds. These elements provide the basis of this teaching curriculum along with recognition of and avoidance and management of complications. What features are deemed to be ‘beautiful’ or ‘desirable’ and how do we achieve this. Ideal proportions and facial shape and contour. Beautification as opposed to Rejuvenation. Are they the same? How to achieve the best outcome. Avoiding extremes, producing a ‘natural’ result. 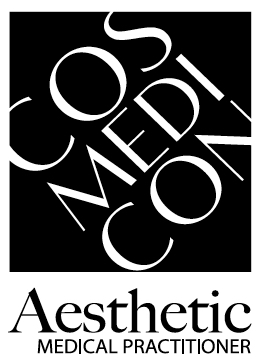 Fillers: Hyaluronic Acid, Hyalase, CaOH Apatite, Polyacrylamide, autologous fat. What are they? How do they work? Where do they fit in? (The use of and precautions of CaOH, polyacrylamide and autologous fat are only available in Advanced and Master Class). Neurotoxins; available sub types (varies with jurisdiction). Properties of light and tissue interactions. Important factors to consider when considering the purchase of a laser/light therapy device. Which device for which application? How to introduce laser/light therapy into your practice. How to avoid common pitfalls. This full-day course is designed to introduce the Scope of Practice and deliver some familiarity to allow a practitioner to start their aesthetic practice. It includes a Didactic presentation on the Syllabus and demonstration of techniques. This course is designed for larger groups to start them on their injectables and aesthetic career.